Contrary to thinking, women like to strengthen their biceps with dumbbells, just like men. Only they are most often than not forced to utilize their partner’s dumbbell set, which is very uncomfortable and too large for their stature. 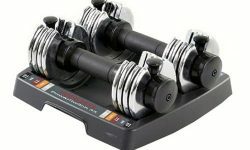 The ProForm SpaceSaver Dumbbell (25 Double) is perfect for any woman and below you will discover why. 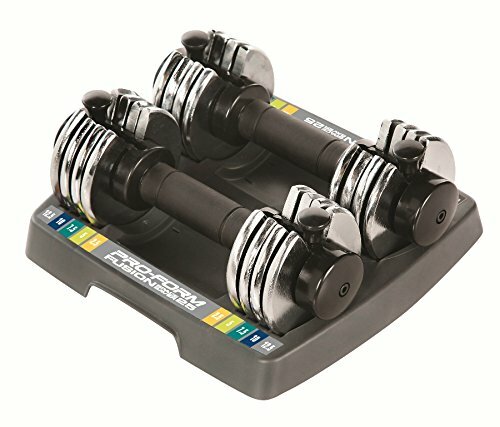 This dumbbell set has a combined total of 25 pounds, which means that each dumbbell weighs a total of 12.5 pounds. 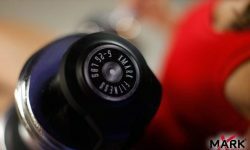 Each dumbbell can be adjusted in poundage ranging from 2.5 to 12.5 pounds, which is suitable for most females. If you purchase the ProForm, you will be able to eliminate the need for innumerable dumbbells. This dumbbell set instructions are self-explanatory and does not require a rocket scientist to operate properly. You can easily alter the poundage, within 15 seconds, which is extraordinarily quick compared to other brands. These offer convenience and versatility in so many ways, but the adjustable mechanism is by far the most superior component, within the entire set. If you are like most women, you do not want your home bogged down with a lot of exercise equipment. The ProForm SpaceSaver Dumbbell is very compact, which makes them very easy to store away. Of course, the dumbbells are to be replaced back into the storage tray, when not in use. This will provide you with the perfect storehouse, so that you are not forced to search around your workout room to locate them. Place the dumbbells in the tray and push them under your bed to conceal them from view. This set is very portable, as they only weigh a combine total of 25 pounds, which offers you the option of taking them to the gym with you. You will never be forced to use the men’s gym dumbbells ever again. Just throw them in your gym bag and off you go to enjoy your daily workout regimen at your local gym. The weight plates do not offer a tight fit, within the dumbbells. This allows them to wiggle around a bit, while you are using them. Not only is this annoying to most, it can also cause a clanging noise, which could potentially be quite loud. If you adjust the volume on your electronic device, you will be able to block out this external noise. Ear plugs can also help alleviate the clanging sound, so that it does not interfere with your workout. The handles are lined with a cushioned material to provide you with a comfortable and strong grip. This will allow you to utilize the dumbbells for a longer period of time and even after your hands become moistened with sweat. 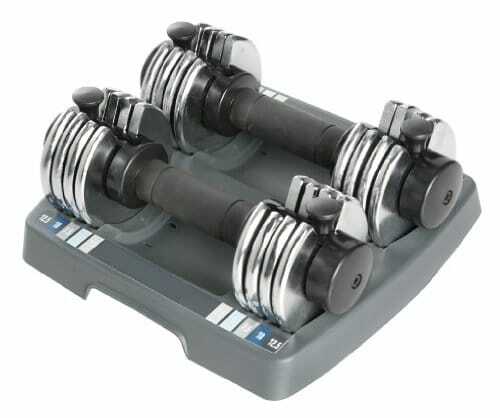 The ProForm SpaceSaver Dumbbell (25 Double) is very suitable for my needs. Again, the only complaint that I see fit to voice my opinion about is the annoying clanging noise. I just crank up my tunes, so that I am not bothered with interference. If you are a veteran female weightlifter, these may be too light for your needs.